Last night we had our monthly meditation meetup and explored Solfeggio Frequencies and other forms of sound healing resources. A few requested that I share the resources that we talked about. There is a lot of numerology in this book and explanation of how they arrived at these frequencies and ….. with many things on the Internet, there are many skeptics. I also showed the Soma Energetics tuning forks, which use the Solfeggio Tones. I played the first two tones – the root chakra (red) and 2nd chakra (orange) tuning forks so the people in the session could notice if they sensed any change in their body. Several people volunteered that they did notice some sensations and changes in their body (feeling more grounded was the most common response). Always, my guidance to the group: be an intelligent consumer and pay attention to how these sounds feel in your body. 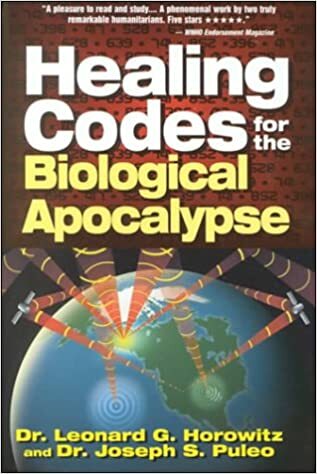 We are exposed to thousands (perhaps millions) of frequencies and sounds in many shapes and forms, every day, all day long. Notice the effect. Keep what is helpful and let go of the rest. And, here is a personal testimony to the effect of sound healing by John Shambu Eustor. This is a case study, a sample of one. Not up to the standards of traditional scientific rigor, but it does suggest possible effects. Always notice what is happening for you. As a corollary, there has been quite a bit of research on frequencies and water. The most well known researcher is Dr. Emoto who studied the effects of words and other frequencies on water. There are many videos on YouTube, you may want to check out this one. Also check out this document from the Soma Energetics website, displaying solfeggio frequencies and water crystals. Think about it…. our body is about 60% water. What do we expose our selves to? Plainly said … Science advances one funeral at a time. But I digress…. 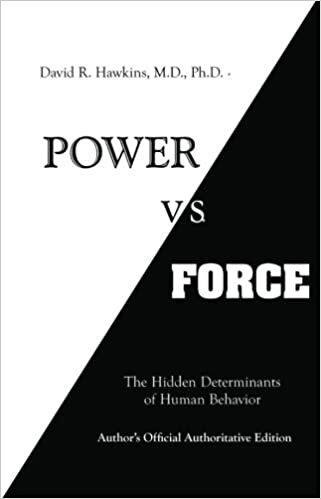 I also mentioned Power vs. Force by David Hawkins. I looked for a brief description of this book and could not find one, so here is my takeaway as I remember from reading it about 10 years ago. David Hawkins developed a system of measuring the relative frequency/vibration of words and used muscle testing as his measurement tool. It was a fascinating read that described his methodology and especially the words that came up high on the list (tested “strong” in the muscle testing) versus low/weak. High on the list are words that inspire us, are loving, spiritual and overall we feel “better” reading. Words that score low on the list are words that suggest emotions like anger, hatred, etc. Similar to results from Dr. Emoto. Interesting…. I also played the Solfeggio Tone 174 Hz that is considered a “grounding frequency”. I played it once with music (Source Vibrations 174) and without (Attuned Vibrations 174) so they could hear the “raw” tone. Again, be an intelligent consumer and be curious about what you are listening to / using. Dimensional Attunement of the Pineal by Tom Kenyon (a few people did not like this one, thought it sounded “creepy” 🙂 … and, this happens to be one of my favorites and I used this extensively in my own Kundalini awakening process). Thank you to everyone who attended! I hope this summary was helpful.